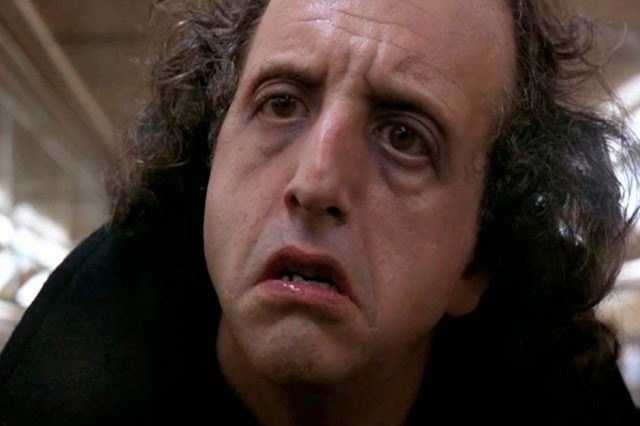 Vincent Schiavelli - The Face With No Name | Warped Factor - Words in the Key of Geek. Hollywood is crammed with toned and tanned, good looking, white toothed film stars, filling the screen with smouldering smiles that allow them to either get the better of the bad guy or bed the beautiful girl. Sometimes both. But not all actors that make their mark are lucky enough to be blessed with Clooney's chiseled chops or Pitt's perfect jawline, some carve out a career by sheer perseverance and by making the most of their non conventional features in an industry obsessed by having the right figure and face rather than genuine talent. It seem that more and more these days looks are everything in the acting industry, and it was slightly disconcerting to learn that you may be disregarded for merely for having a big nose or for being vertically challenged. And on occasion even if they had the right face, they may have the wrong face. Sandra Bullock was told early in her career that she would never make it as an actress because she wasn't attractive enough and that she had a really odd chin, but she managed to sidestep such curious misfortunes. If it had always been down to looks surely the world would have missed out on some extremely talented actors, including the likes of Walter Matthau and Charles Laughton, neither of which set pulses racing or had the opportunity to appear in an Armani suit flogging espresso coffee in flip flops. 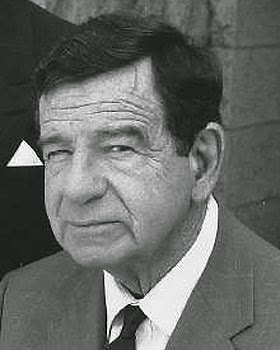 Matthau : Not a conventional Hollywood face. In some cases it pays to have an unusual face, but not often. 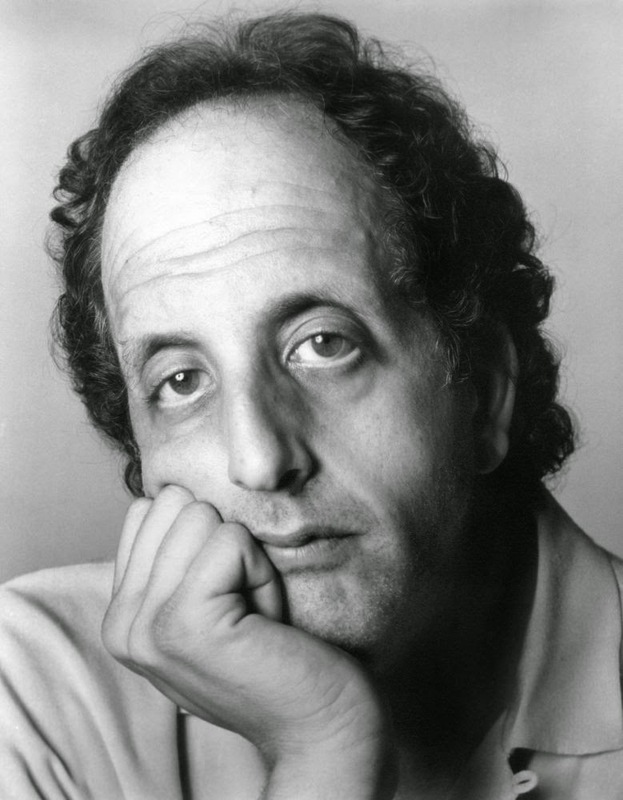 If you have a face like jelly falling off a plate it allows you the luxury to call yourself a character actor (not always the case), which can prove quite lucrative particularly if you have the natural talent to accompany it, like Vincent Schiavelli. He's the face everyone knows but can't necessarily put a name to, yet in spite of this his career path remained steady and he was never 'resting' for long (which is acting jargon for being out of work). His looks were quite unique to say the least. Droopy eyes, hair that looked as if it was trying to escape from his head, a long face, high forehead and teeth that looked like a set of theatre steps. This description is not meant to be unkind, his looks worked to his advantage, they allowed him to seem as if he was less polished, less manufactured, normal and ordinary, but behind the smokescreen was a man who was feverishly driven and one who took his acting incredibly seriously. Schiavelli was born in 1948 in Brooklyn, New York to a Sicilian-American family. He studied acting through the theatre programme at New York University, and began performing on stage during the 1960s. Just around ten years later he appeared in Miloš Forman's 'Taking Off '(1971), and it was the start of a relationship that bore fruit as Schiavelli notched up further appearances in a stream of supporting roles including One Flew Over the Cuckoo's Nest, Amadeus, The People vs. Larry Flynt, Valmont, and the 1999 biopic Man on the Moon. Tim Burton loved Schiavelli's presence and looks, so quickly snapped him up in 1992 for the follow up to the highly successful Batman. 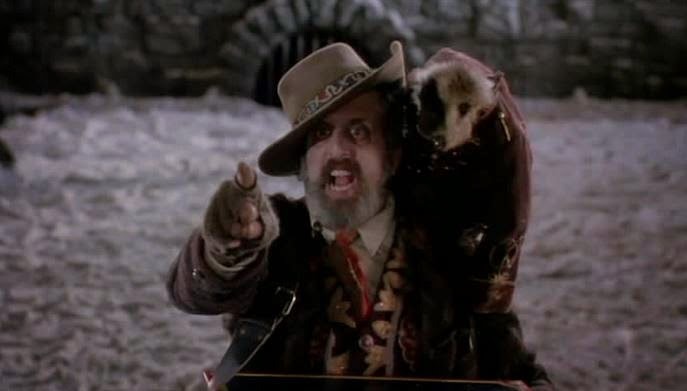 Schiavelli starred in Batman Returns (1992) as the Organ Grinder. In 1995 he appeared in season 2 of The X-Files as Lanny, a man with an underdeveloped conjoined twin. 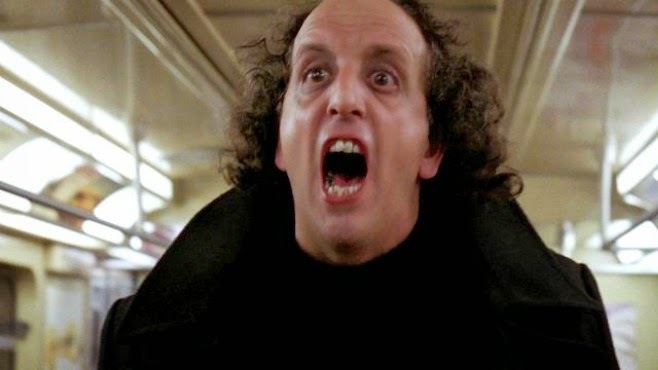 In 1990's Ghost he was the demented subway ghoul, and especially for us geeks he put in a shift on Star Trek: The Next Generation in an episode called "The Arsenal of Freedom" where he was cast as a peddler, or more specifically as a holographic salesman. In Ghost playing the subway ghoul who teaches Swayze a thing or two about being dead. But his biggest credit was showing us all that as long as you have the talent you don't have to have a 'magazine face' to get on in the industry. Over the years the critics lavished praise on Schiavelli for his various performances, which led to him being hailed as America's finest character actor. "When I look in the mirror, I see someone who's happy with how he looks, because I was never one of the handsome Hollywood people. And I've had success as I've gotten older, because I'm able to play characters. I no longer get the girl, but I get the part." 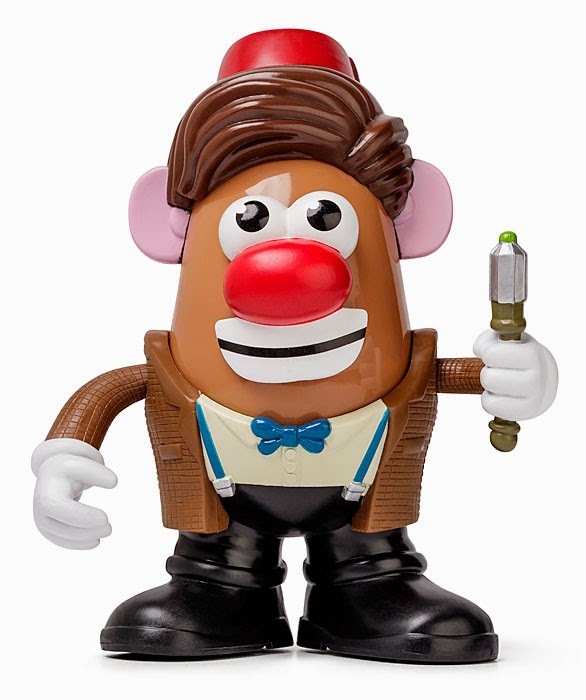 All this will be music to the ears of former Doctor Who Matt Smith who is carving out quite a nice career in the US despite resembling Mr Potato Head. Sadly Schiavelli passed away in 2005 after battling cancer. Aged just 57 he left behind a body of work that any actor would have been proud of, and that many could just imagine let alone achieve.